I read in the local chinese daily that it was reported a simple farewell was done. Not sure about english daily. if got time later I upload it? Somebody uploaded on instagram if not mistaken the ground staff lined up near the tarmac to wave goodbye to the final flight of Cathay Dragon leaving BKI. 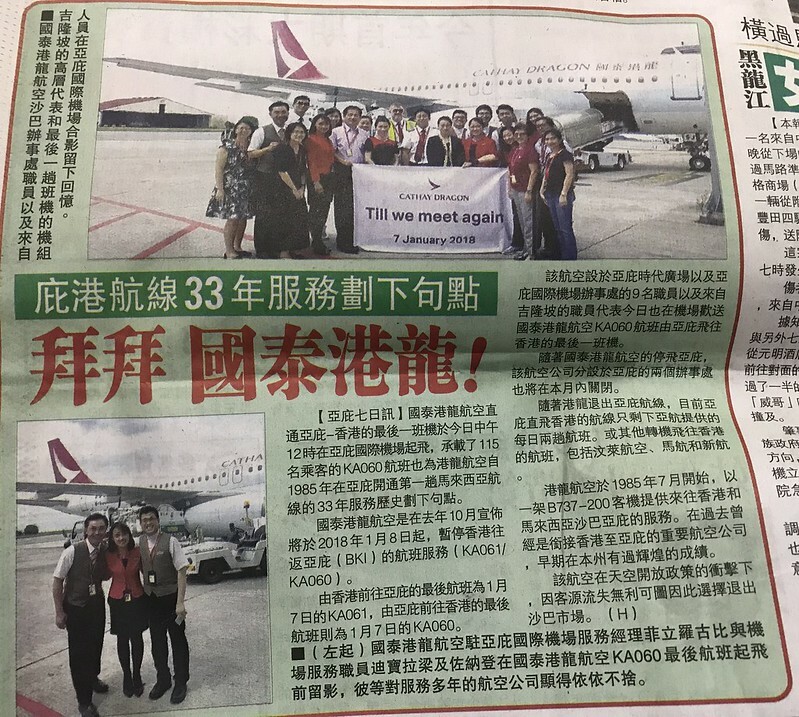 Newspaper Header : End to 33 years of BKI - HKG route by KA. Goodbye KA! Here is the newspaper excerpt by OCDN dated 2018 01 08 report. I had a look at daily express but didn't see any report out KA's last flight. The report also states that the 2 KA offices will close this month. top pic: senior management of KA from KL came over for KA's last flight from BKI. lower pic: the KA ground crews ( from left: manager, and 2 ground staffs) posing before the last flight. it's really a heart touching moment, being few childhood memories onboard this flights to Hong Kong. wish Cathay Dragon will come back again soon. Strange I wonder why they did that lol given that it has been making quite a few trips into BKI already. Perhaps better late than never. She will be here till 14/1/2018 according to schedule, correct? 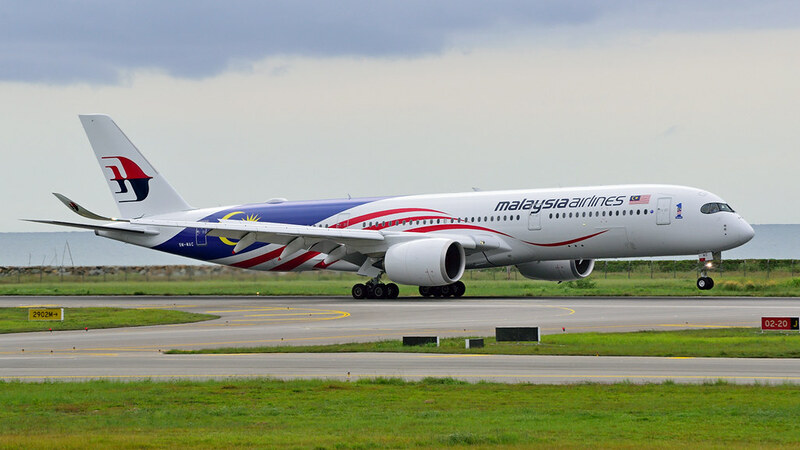 A Malaysia Airlines Berhad (MAB) Airbus A350 plane conducted its test flight from the Kuala Lumpur International Airport (KLIA) to the Kota Kinabalu International Airport (KKIA) on Tuesday, 9 January. No wonder we got so many complaint of "misquote" from various quarters. Edited by Waiping, 10 January 2018 - 09:01 PM. Hilarious. The plane (9M-MAC) has been making familiarisation flights since 27/12/2017. The way it is reported made it sounded like it is the first flight MAC flew into BKI (well, the water canon salute too). Anyway, it's arranged in a way for the ministers and MAB's management team in that flight, and a press conference following that I suppose. Hence then it was reported. Still, hilarious. OCDN daily did report our state tourism minister was on board though. from the video, overheard some passenger talk in canton say "why got water one? and why the aircraft so big"
Silkair equipment upgrade today - 9V-MGK, 737-800. 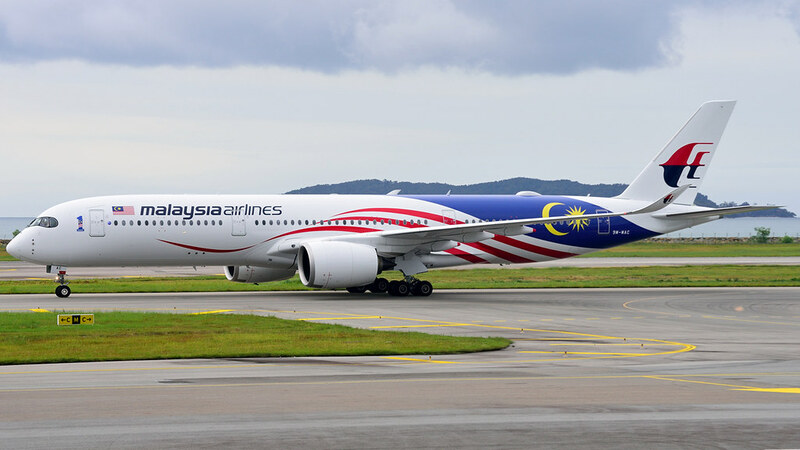 I would like to see a B738 max lol. 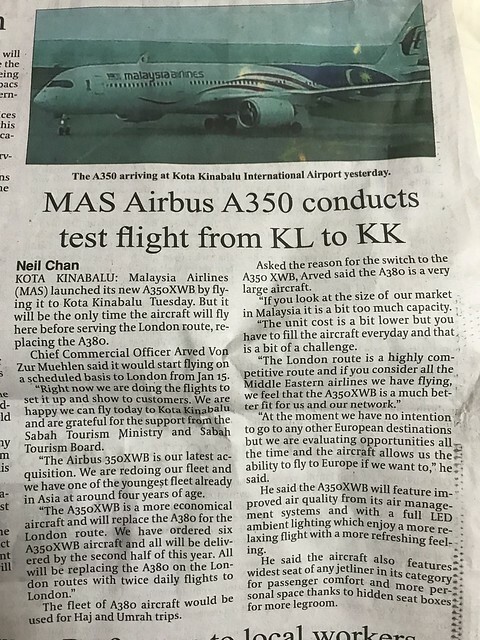 The last two weeks have been a bit busy for BKI spotters, with MAB's A350-900 making its crew training and familiarisation flights to this city. Here is the last A350 flight from KUL carrying BKI MWinger Samuel on board touching down. Edited by flee, 15 January 2018 - 09:48 PM. Unlike the previous 2 weeks or so, we had slightly better sunlight and runway 20 active. All these after the A350 is gone. Oh well, today first time ever Silk Air sent their B738 instead of their usual A319/A320. it's a good start for the year of 2018 with these specials, and held few Mwings mini gathering in BKI for the first time since decade ago. thanks for sharing the photos of these remarkable history, especially Silk Air finally decided to send in their 738 for BKI, after 4 years.